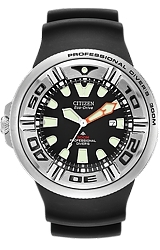 The SRP637 is the all stainless steel version of the Monster Baby Tuna Series of Automatic Dive Watches. 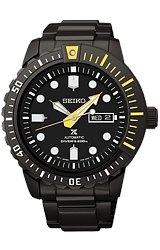 The Tuna "Shroud" is also all stainless steel, making this one tough watch. 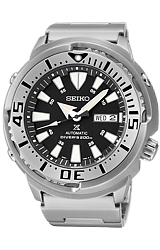 The watch has SEIKO's flagship 4R36 Caliber 24 jewel mechanical selfwinding movement with 21,600 vibrations per hour for accuracy and dependability.